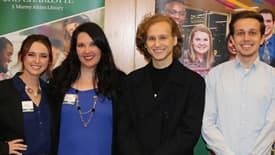 Several members of UNC Charlotte’s Sigma Tau Delta, the English honor society, will present creative pieces and participate in a special discussion during the 2019 Sigma Tau Delta International Convention, scheduled for March 27-30 in St. Louis, Missouri. 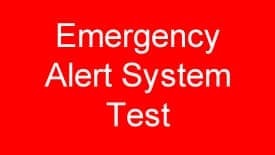 The Office of Emergency Management and the Police and Public Safety Department will conduct a full test of the NinerAlert system from approximately 10 to 11 a.m., Friday, March 8. All methods of alert notification will be used. 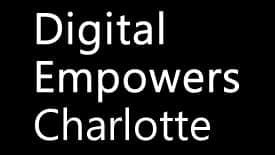 This includes text messaging, email, Alertus technology (on-campus screen takeover), LiveSafe and social media. 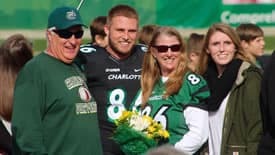 Cody Woodiel has been hired as the Charlotte 49ers football tight ends coach. 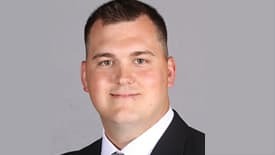 He was an offensive graduate assistant at the University of Oregon for the past two years and has seven years of coaching experience. 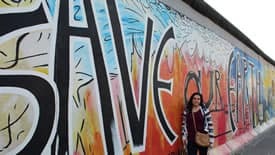 As a triple major in French, German and international studies, UNC Charlotte senior Maria Garcia dreams of working as an interpreter helping people travel the world. 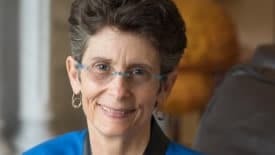 Kathy Obear, founder of the Center for Transformation and Change, will visit campus Wednesday and Thursday, March 13-14, to deliver two public presentations. 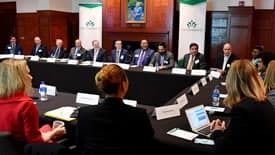 Senate Leader Phil Berger (R-Rockingham) and Sen. Dan Bishop (R-Mecklenburg) recently hosted an education roundtable at UNC Charlotte with local members of the education community and industry partners. 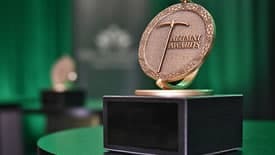 The UNC Charlotte Alumni Association will hold its 2019 Alumni Awards Luncheon from 11:30 a.m. to 1 p.m., Friday, April 5, at The Westin Charlotte. 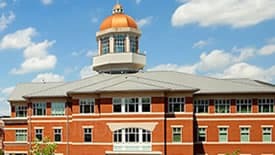 As part of continued efforts to grow its connection with the health care industry and prepare graduates to succeed in their careers, the UNC Charlotte Department of Public Health Sciences continues to welcome a growing list of highly qualified external adjunct professors to its classrooms.